Single Room, compliementary beverage tray, FREE Wi Fi, Tv, Shower en-suite, breakfast included in the room rate. Single Room, compliementary beverage tray FREE Wi Fi, Tv, Shower en-suite, breakfast included in the room rate. This room is situated on the first floor at the front of the building, it has a double bed and a compact shower en-suite. Flat screen TV with built in DVD player. Tea & coffee making facilities dressing table/work desk. 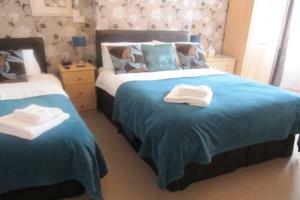 Nice size double en-suite room recently refurbished this room can be used as a twin or double. Free WiFi good size Tv with built in Dvd player, complimentary beverage tray. 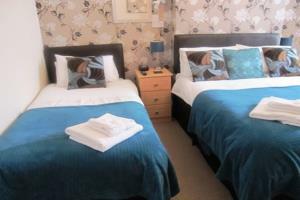 Nice size Twin Room en-suite bathroom with shower recently refurbished this room can be used as a twin or double. Free WiFi good size Tv with built in Dvd player, complimentary beverage tray. Double Room, compliementary beverage tray, FREE Wi Fi, Tv with built in Dvd player. Shower en-suite, breakfast included in the room rate. Nice romantic refurbished room, nice size walk in shower, Free Wifi good size Tv with built in Dvd player, complimentary beverage tray.